By Rachel Held Evans, on February 28, 2013. It may seem like an absurd question, especially given the increasing enthusiasm among evangelical Christians for the abolition of modern-day slavery. 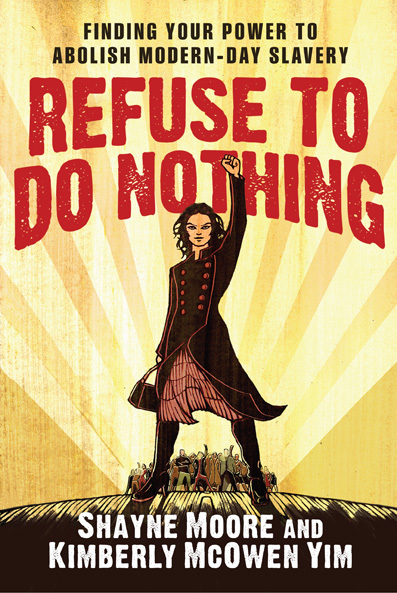 (Be sure to check out Refuse to Do Nothing by Shayne Moore and Kimberly McOwen Yim, pictured above.) But it’s a question that haunted our evangelical predecessors in the 19th century as they took to newspapers, pulpits, street corners, and staterooms to debate whether or not the Bible supported the abolition movement to free African slaves in the United States. Having lived in the South all my life, I’ve long been aware of the stain of slavery and segregation on our national conscience, and I’ve known for some time that many Christians appealed to Scripture to support their ownership of slaves. (This is why we have the Southern Baptist Convention, for example.) 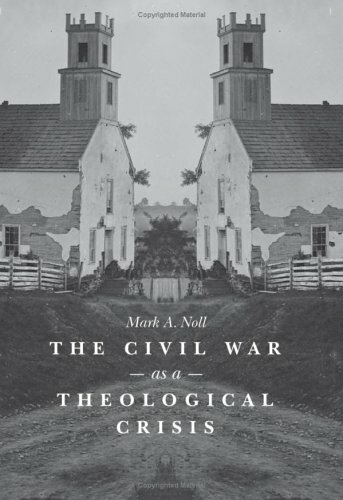 But it wasn’t until picking up Mark Noll’s excellent book, The Civil War as a Theological Crisis, that I familiarized myself with the rhetoric and logic of the anti-abolition movement. And the results were startling. I highly recommend reading the book for yourself, but what I found most striking was the familiarity of the various lines of argumentation put forth by evangelicals invested in the debate, particularly the accusation from Christians on the pro-slavery side that Christians who supported abolition were ignoring the particulars of the biblical text in favor of vague generalities regarding love, justice, and progress, thereby discounting the “plain meaning” of the Bible and threatening its authority. As you can see, Christians advocating for the preservation of slavery did not characterize their abolitionist opponents as simply disagreeing with them on the interpretation of the biblical text, but instead tended to accuse them of not taking the Bible seriously at all. Christians on both sides, but especially the pro-slavery side, urged followers to simply abide by the “plain meaning” of biblical texts and not allow complicated, nuanced argumentation to cloud their mind. Obviously, this way of looking at things was highly influenced by Enlightenment confidence and its marriage to Christianity, which Noll is quick to point out manifested itself in arguments from both sides. Noll points to an 1845 public debate between Nathaniel Rice (pro-slavery) and Jonathan Blanchard (anti-slavery) which lasted for eight hours a day, for four days! Rice “methodically tied Blanchard in knots over how to interpret the proslavery implications of specific texts” while “Blanchard returned repeatedly to ‘the broad principle of common equity and common sense’ that he found in Scripture, to ‘the general principles of the Bible’ and ‘the whole scope of the Bible’” rather than specifics. I see Bacon’s dilemma, don’t you? Frankly, I’m glad I wasn’t trying to make a biblical case for abolition in the 19th century. I’m not sure I could have…or would have. Which is kind of sobering, right? Things didn’t really turn around until the publication of Harriet Beecher Stowe’s Uncle Tom’s Cabin, which struck an emotional chord with readers and once again appealed to the general sweep of Scripture rather than the letter. I underlined that bit and wrote in the margins of my book, “sounds familiar!” Reminds me of a few book reviews I've received. The Civil War as a Theological Crisis is a short but dense book, and I’m only halfway through it. (The next chapter deals specifically with race, which was a profoundly important element in the theological debate surrounding slavery.) But I wanted to share these initial thoughts because I think it’s important to remind ourselves now and then that we’ve been wrong before, and that sometimes it’s not about the number of proof texts we can line up or about the most simplistic reading of the text, but rather some deep, intrinsic sense of right and wrong, some movement of the Spirit, that points us toward truth and to a better understanding of what Scripture really says. The clearest association I make, of course, is with the gender equality discussion within evangelicalism—not only because it’s an issue near to my heart, but also because we are dealing with many of the same biblical texts. But I wonder about other things too—about homosexuality, for example—and I confess I spend some nights lying awake, watching the lights from passing cars make strange shapes on my walls, wondering if we’ve done it again, if we’ve marginalized another group of people because we believed the Bible told us to. Now, to be clear, I’m NOT saying that slavery is the same as the gender debates or homosexuality. So please don't hear that. Each situation is different, and each should be discussed and debated on their own terms. It’s not fair to the people involved to treat them all the same or to make an unqualified comparison. But the impassioned, Bible-based rhetoric delivered by both the abolitionists and those who opposed them sure does sound familiar. And that should give us pause.